They are three pillars of New Orleans culture: the lively music, the spiritual undercurrent and the critters in the mud that are a staple of Big Easy cuisine. And today, young reporters in the New York Times Student Journalism Institute covered all three of the subjects in online videos. Sha’Day Jackson and Jhenelle Johnson went to the French Quarter to hear young musicians who have been mentored by old pros as part of a Music for All Ages program at the New Orleans Jazz National Historical Park. The video we put together is on the institute site today and will run on the New York Times site soon. J.J. McCorvey and Michael McCray headed out to the Bonnet Carré spillway in Norco, Lousiana, about 30 miles from New Orleans, where floodgates can control the level of the Mississippi River. The Army Corps of Engineers opened the spillway gates for the first time in 11 years, and the nutrient-rich water from the mighty/muddy Mississippi replenished the ponds and creeks in the path of the spillway waters. 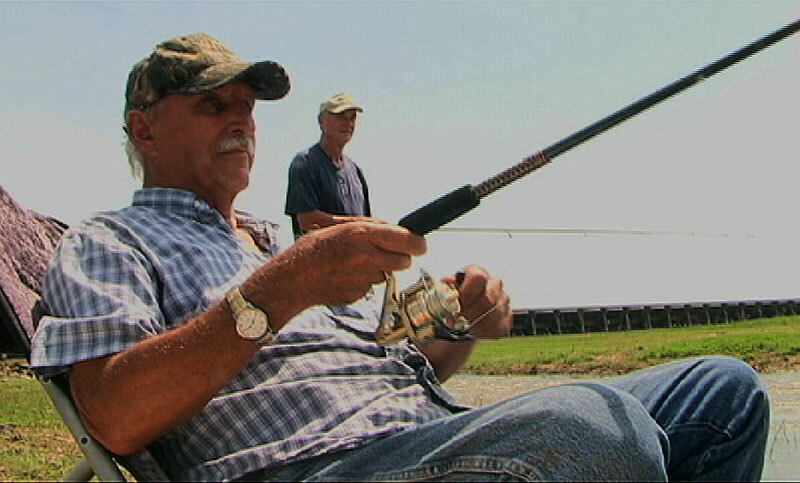 Folks were fishing and catching crawfish, which were thriving in the ditches and ponds. And Juana Summers finished a video to complement Juanita Cousins’s story about a voodoo ritual in the city’s Bywater section last Friday night (see more photos below). There will be more videos in the coming days, so be sure to check back later in the week. Oh, and for a few grins (especially for those of you who create video and wrestle with editing software), check out J.J.’s blog post about his experience putting together the spillway story. Your students are learning a lot in a short time.